Customer Experience Is Emotional? Oh, Yes. Always Has Been, Always Will Be. While rarely asked quite that way, virtually all customer experience research boils down to a need to answer this question and others like it. The fact is, all customer experience boils down to how your customers feel about an experience. These feelings occur when customer expectations are or are not met. For years, I’ve used versions of this picture in presentations on customer experience. For an FMCG company, it’s a young mom. For a B2B medical supply firm, a nurse. For an investment advisory firm, a silver-haired retiree. 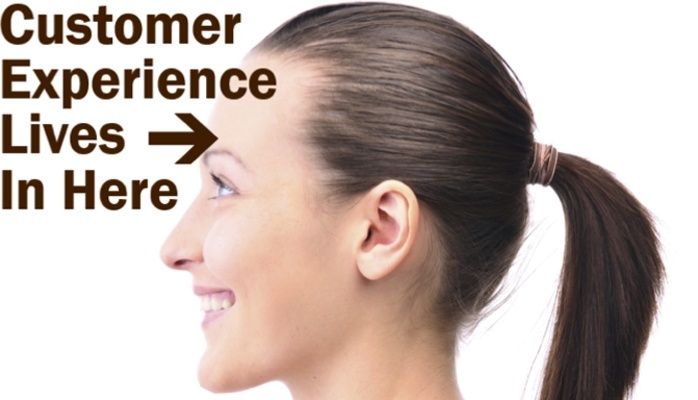 The picture changes based on who the customer is. But the message remains the same: Customer experience is inherently driven by emotion; it is what your customers think it is. For any given experience or interaction with a company that serves them, a customer comes to that interaction with a preconceived notion of what’s going to happen. We all do it; it’s human nature. Whether or not we have the data to make an informed decision about these expectations, we make them anyhow. And these expectations apply across all aspects of the experience. From individual touchpoints (like a Web site) to goal-driven events (like applying for a loan) to brand-driven emotional attributes (like an expectation of flexibility or trust), either positive or negative. How we feel about the experience affects how we feel about the company. The basis for understanding any aspect of customer experience is the fact that the gap between the expectation of an experience and the perception of the experience actually received is what drives experiences and the emotions that attach to them. For example, if we call into customer service expecting to get a problem solved–even after hours or on a weekend–and no one answers, or we get shunted to the FAQ on the Web, we’re going to be dissatisfied. If we call that same line expecting an IVR and get a live person who proactively solves our issues, we’ve had a great experience. We’ll “feel” good about it. And while there’s a great deal of research and academic discussion around the validity of how a customer remembers something in hindsight versus how they may or may not have felt at the time of the actual experience, in the world of customer experience metrics these distinctions are irrelevant. Why? Because the way a customer remembers an experience is, in fact, the reality of that experience. Again, customer experience is what your customers think it is. There’s a reason that the trifecta of overall customer experience measurement has long been related to the ease, enjoyability, and perceived effectiveness of the experience. It’s all about the feelings. And feelings are, of course, all about emotions. There are many ways to measure the emotional impact of experience. All require a base understanding of the emotions relevant to your industry, firm and customers, which provide the foundation for more rigorous analysis. This base understanding is gained through various methods of qualitative research: interviews, focus groups, ethnographic research, and more. Quantitative, statistically projectable research allows a company to see which individual emotions drive value and loyalty or dissatisfaction–and how well they may be doing at delivering against them. Regardless of your industry or your market–and make no mistake, our research shows that emotion plays as big a part in B2B as in B2C interactions–there is a unique set of emotions that attach to your market, to your company in particular, and to each individual interaction that customers have. Measuring these emotions and understanding which are more important to which customers, as well as which are most relevant to driving desired business results (acquisition, retention, increased purchase, brand engagement, etc. ), is one of the key disciplines your customer experience efforts need to embrace. Only then will you have the information you need to design and deliver experiences that truly connect with and engage your customers. And only by measuring your performance over time will you be able to see where and how to do even better; just as with markets, customers and the competition, emotions change over time. To deliver better experiences, you need a lens through which to track these emotions. After all, none of us makes decisions entirely devoid of emotion. (Trust me, even if you think you do, you don’t. And we have over a decade of data to prove it.) Why would we expect our customers to make decisions without emotion? This blog originally ran on CMO.com, where Michael Hinshaw writes the weekly “Get Customer-Centric” blog.